This song by Toby Mac encourages us to speak words that build people up (bring life). This song by Hawk Nelson speaks about how words can build us up and tear us down and encourages us to use words only when they will bring good things to others. This short video talks about the power of words. We helped Laoshi Morgan get better at her push-ups. We did this by practicing push-ups. It was hard, but we learned that if we want to get better at something, we need to practice it. The same thing is true with everything that we want to get better at, even things like patience, kindness, and self-control. God will give us opportunities in life to grow these skills, and sometimes they will be hard. But, we need to be willing to trust God, and look at the hard times in our lives as opportunities to grow. A person yelling at us can be an opportunity to be kind and a peacemaker. This song by Manic Drive reminds us that life with Jesus and eternal life are worth more than all the money (and treasure) in the world. 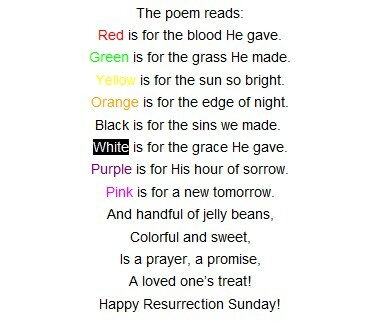 Thank-you also to our teammate, George-Anna who taught us the Easter story using jelly beans and an awesome poem which you can read here. This is an excellent song, sung here by Chris Tomlin, called "Amazing Grace"
He asked us to think about whether we would behave respectfully in the presence of someone important like the Queen and challenged us to behave in a similar way in front of others - parents, teachers and everyone - because they are important too. We talked about how Saul was mean to (persecuted) Christians but then, after he met Jesus, changed his ways (and his name to Paul) and became a Christian teaching hundreds and thousands of people about Jesus. When we read Paul's letters in the Bible, he is our instructor, even now, 2000 years later. We learned that we are in a war, and that God has given us a full set of armour to protect ourselves in this war. A short video telling the story of Jesus and the 10 healed men with leprosy - PLUS a cool magic trick! We welcomed all of our new teammates to the club!